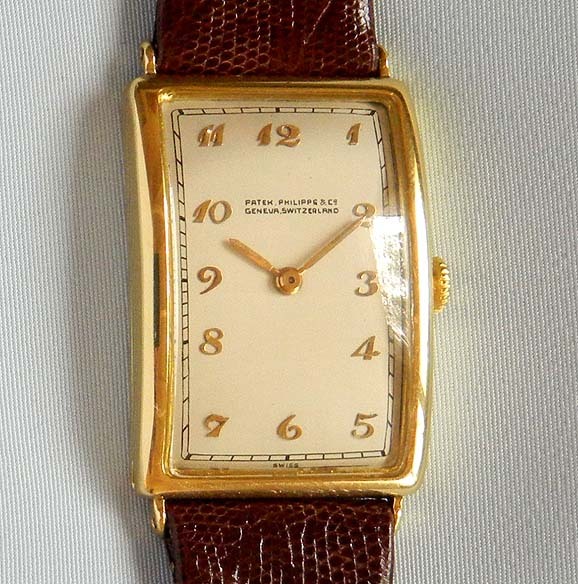 Fine and handsome Patek Philippe 18K gold vintage curved wrist watch circa 1920. 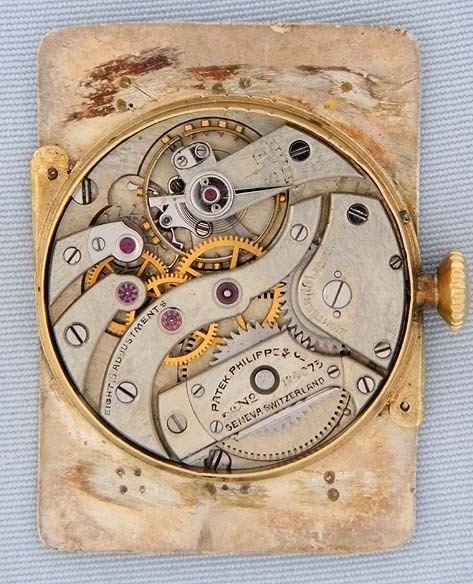 Silver dial with black markings and applied gold Breguet numerals. The dial is in particularly fine condition and is either original or possibly an early factory refinish. 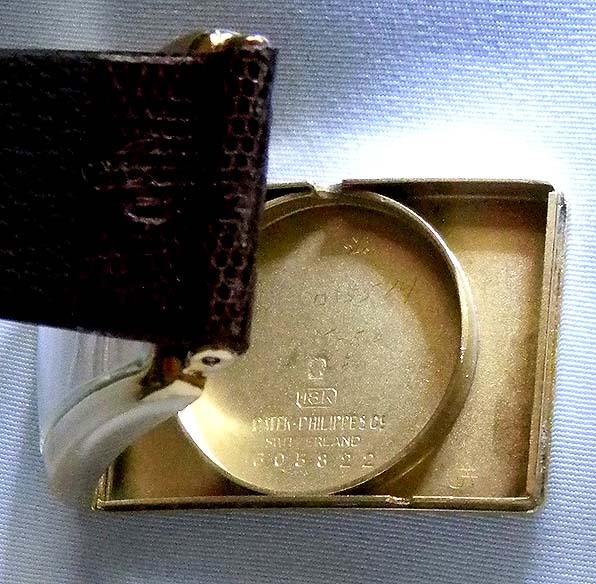 Hinged case. Nickel 18 jewel 8 adjustment movement with moustache counterpoised fork. Excellent example. 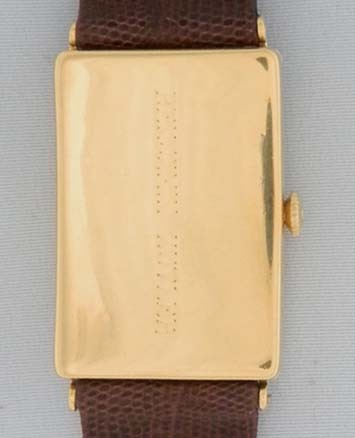 This watch was originally owned by Benjamin S. Kutler who was a Hollywood writer from 1914 to 1918.